The following is a translation of a statement circulated (in Spanish) on the La Compa mailing list (the mailing list of the members of the Convergence of the Peoples of the Americas). The original statement is below. Note from the Friendship Office: This article was translated from the Honduran national daily newspaper El Tiempo print edition for Wednesday, August 10th. We were not able to find the article on the digital edition of El Tiempo at http://www.tiempo.hn. The original title of the article in Spanish is Organismos humanitarios todavía no ubican a supuesto criminal de guerra. These reports are particularly worrying in light of the current criminalization of members of the Siria Valley Environmental Committee and community members of El Porvenir and El Suyatal working to protect vital remaining forests and watersheds in their communities which also happened to be concessioned to transnational mining companies - reportedly Canadian companies. 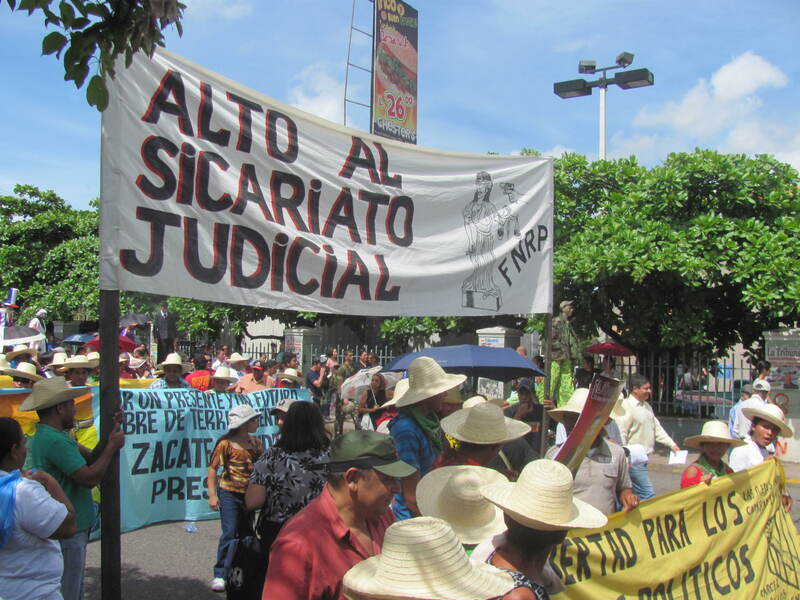 Starting at 8:00am on Thursday, June 28th in Tegucigalpa, thousands of demonstrators met at the Pedagogical University and marched to the offices of the United Nations to make their denunciations. July 26th at 10:00 am, relatives and friends of Isy Obed Murillo, Ilse Ivannia Velásquez, Roger Vallejo, Félix Murillo, Mario Fidel Contreras, Manuel Flores, Karen Jessenia Hernández, Walter Tróchez, Julio Fúnex, Pedro MAgdiel Muñoz and Pablo Villanueva, 11 victims assassinated after the coup d'état on June 28, 2009, staged a demonstration in front of the offices of the Ministry of the Attorney General (Ministerio Público) in Tegucigalpa. At a press conference on Friday, July 8th at the offices of the Committee of Relatives of the Detained and Disappeared in Honduras (COFADEH), Father Fausto Milla and his assistant Denia Mejía announced their departure from Honduras. They have been victims of serious threats and harassment and have received no response to their denunciations from the responsible authorities.